John Carpenter is not only a cult movie-maker, but also a pioneering electronic composer. John, his son Cody, and collaborators Alan Howarth and Daniel Davies explain how it’s all possible. The path from the music world to the film world is well trodden. David Bowie, Madonna, Sting, Alanis Morissette, Björk, Bob Dylan, Debbie Harry, Cher, Courtney Love and Tom Waits are just a few of the many stars who have tried acting, while David Byrne, Dylan, Madonna and Rob Zombie are among the musicians who have directed feature movies. Moves in the opposite direction, however, have often been less successful. Steve Martin is accomplished at bluegrass banjo and Jack Black is active in Tenacious D, but the musical exploits of William Shatner, Gwyneth Paltrow, Bruce Willis and Eddy Murphy have all strained the boundaries of artistic credibility. 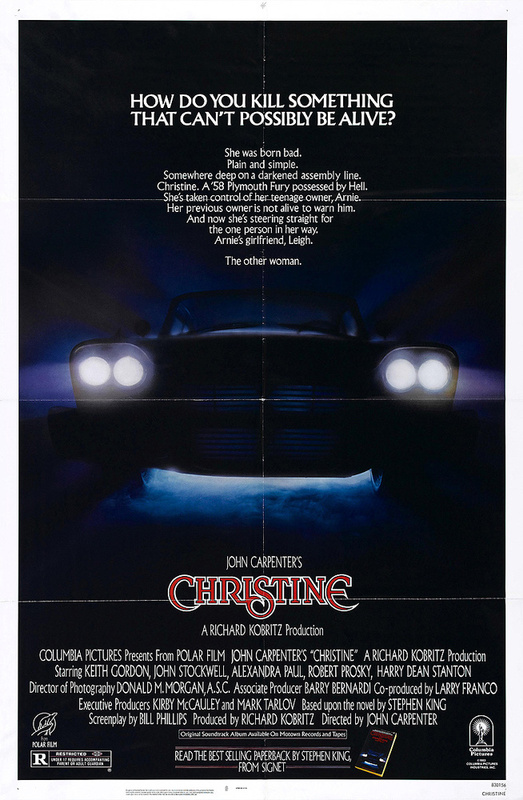 Legendary film director John Carpenter is breaking the mould in many respects here, enjoying a career change in his late ’60s to become a bona fide rock & roll star, with critical acclaim to boot. 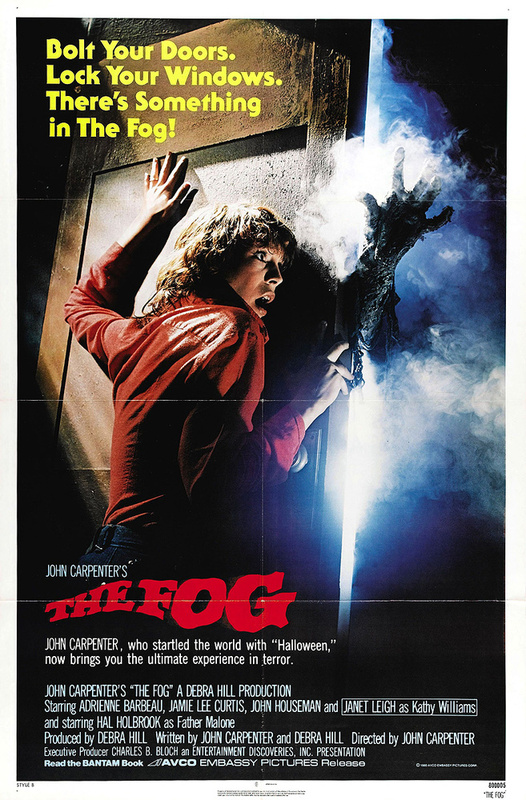 Carpenter has directed classic horror, action and sci-fi movies like Dark Star (1974), Halloween (1978), The Fog (1980), Escape From New York (1981), The Thing (1982), Big Trouble In Little China (1986), Prince Of Darkness (1987), Village Of The Damned (1995) and more. And like Charlie Chaplin and Clint Eastwood, to name just two, Carpenter is famous for also scoring the music to many of his own movies. 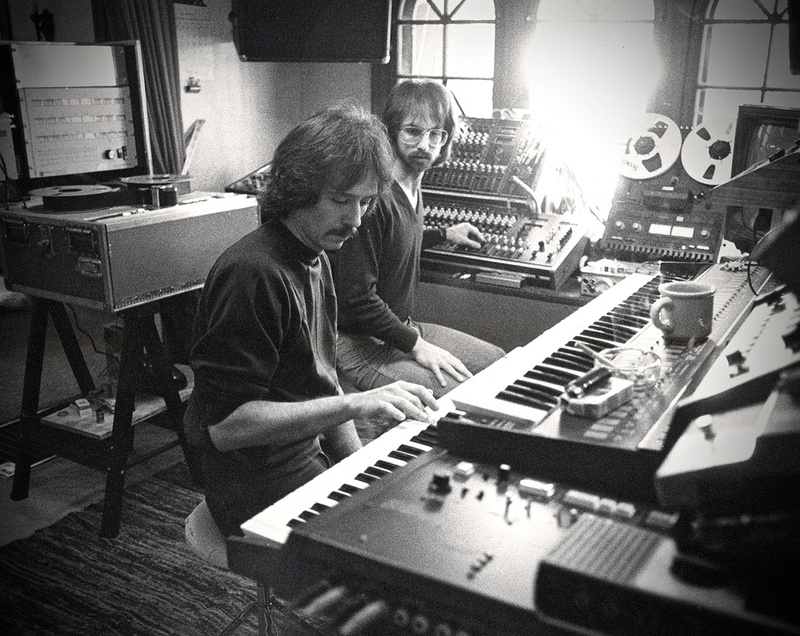 In Carpenter’s case, there is a twist, in that he’s a pioneer of using synthesizers, with his scores in many cases having become almost as famous as the movies themselves. 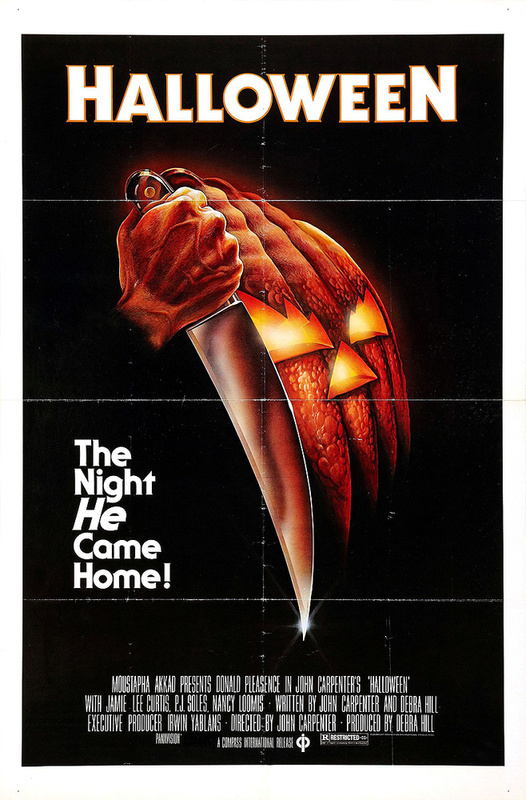 Most people will be familiar, with the high arpeggios, five-to-the-floor stomp and atmospheric four-note motif of the Halloween movie theme, to give just one example, where all the elements work perfectly together to conjure up a suitably spooky atmosphere. 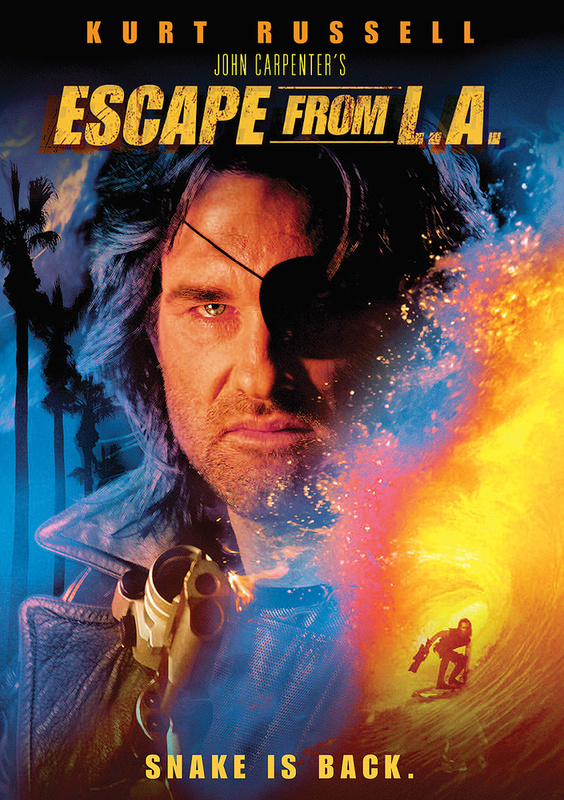 Carpenter’s film scores, in a number of cases made together with composer Alan Howarth, have proved so outstanding that they have laid the seeds for an entire electronic music sub-genre, synthwave (also known as retrowave), which emerged in the mid-2000s, and also quotes Vangelis and Tangerine Dream as its influences. 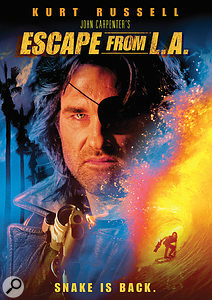 The last two movies Carpenter directed, Ghosts Of Mars (2001) and The Ward (2010), were both commercial and critical flops, which goes some way towards explaining the man’s latter-day career shift. His new direction became apparent in 2015, with the release of his first non-soundtrack album, Lost Themes. 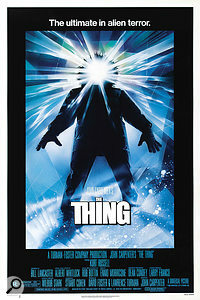 Like his film scores it is dominated by synth sounds and arpeggios and mixes spine-chilling moods with rock influences. 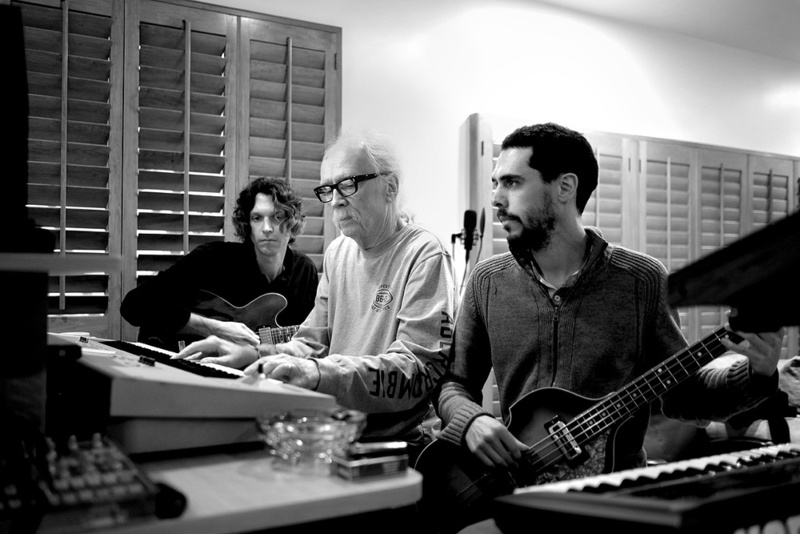 Made together with his son, Cody Carpenter, and Godson, Daniel Davies (the son of the Kinks’ Dave Davies), Lost Themes reintroduced Carpenter to the world of glowing reviews, with one critic noting that the album “evokes his past without rehashing it, delivering a complete and immensely satisfying portrait of his music along the way”. One year on there’s the follow-up, Lost Themes II, as well as something even more essential to an aspiring rock star: a world tour. At the time of writing 30 dates were already scheduled, beginning in late May in the US and ending in November in Europe, taking in three UK dates in late October, in Manchester and London, with Carpenter appropriately headlining ‘Release The Bats’, All Tomorrow’s Parties’ Halloween extravaganza. Further in line with the film-music-world crossover theme, the two Carpenters and Davies will be accompanied for this tour by Tenacious D’s backing band, meaning that audiences will be treated to a genuine rock & roll line-up with drums, bass, two electric guitars, and the two Carpenters on synths. A YouTube video of the opening track from Lost Themes II, ‘Distant Dream’, showcases the six-piece sounding eerily like a prog-rock band. Neither his association with music, nor his predilection for using synths, nor his shift from film- to album-making, came by design. His father was a music professor, composer, and a concert violinist, who introduced his son to classical music and started him on the violin. The latter, recalled the 68-year, “was fine, apart from one big problem: I had no talent on the violin! It is one of the most difficult instruments to learn, and I was never any good at all on it. So I rebelled, and moved on to piano, and then guitar, and bass guitar, and rock & roll. And later on at film school I began scoring my own movies because there was no budget. 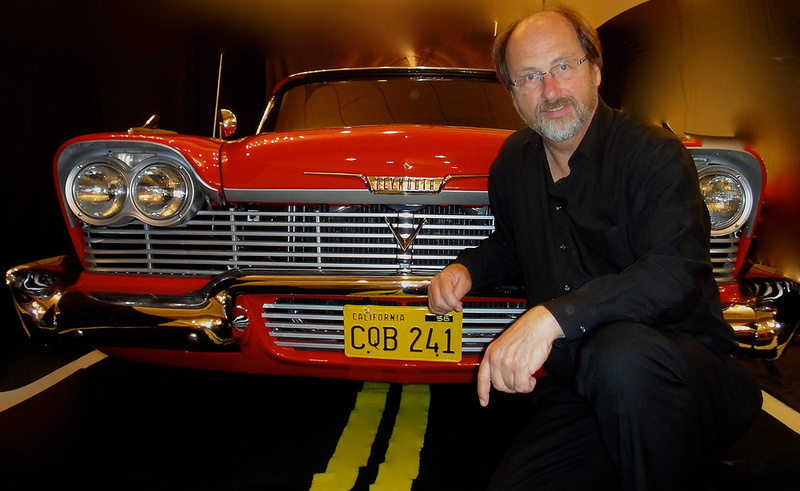 Alan Howarth was born in New Jersey and moved to Ohio during his high-school years. He set his first steps on the musical path playing bass guitar in bands. 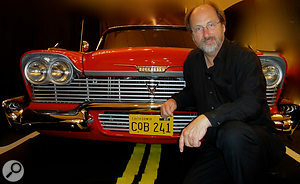 He was keyboard tech for Weather Report’s Joe Zawinul during 1976-1980, and went on to work as a sound designer on the first six Star Trek movies, as well as Raiders Of The Lost Ark, Back To The Future 2 and 3 and many more films, and as a composer has contributed to the scores of several movies. Howarth is promoting something he calls Natural Resonance (naturalresonance.net), which states that 440Hz is an arbitrary frequency standard for A, and that instead frequencies like 432, 427 and 421 Hz have a natural resonance with specific energy centres in the human body and are therefore more attuned to the wellbeing of our mind and body. Howarth is currently working with Magic Leap’s Sonic Arts team on their revolutionary approach to “mixed reality”. 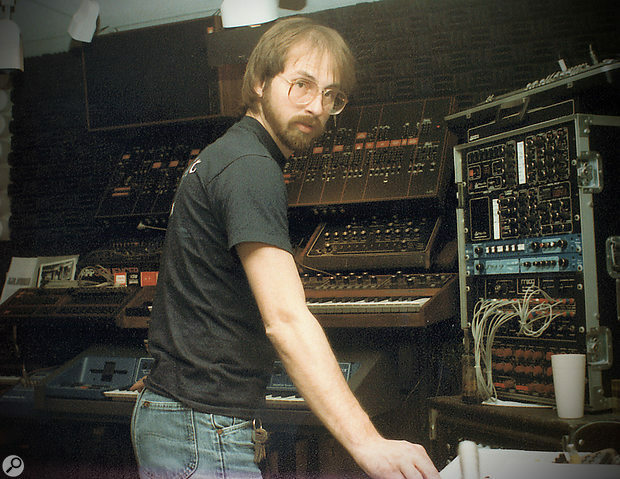 Alan Howarth and Carpenter worked together for an amazing ultra-productive eight-year period, which Howarth calls “one of the greatest experiences in my lifetime”. 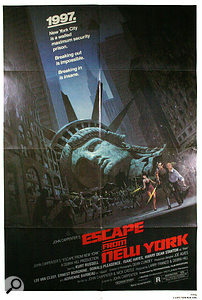 Carpenter shot 10 movies in this time, all of which were scored by Carpenter and Howarth, starting with Escape From New York (1981) and ending with They Live (1988). Howarth vividly recalls Carpenter’s lack of interest in technical aspects of music-making. “John did not want to know anything about it. 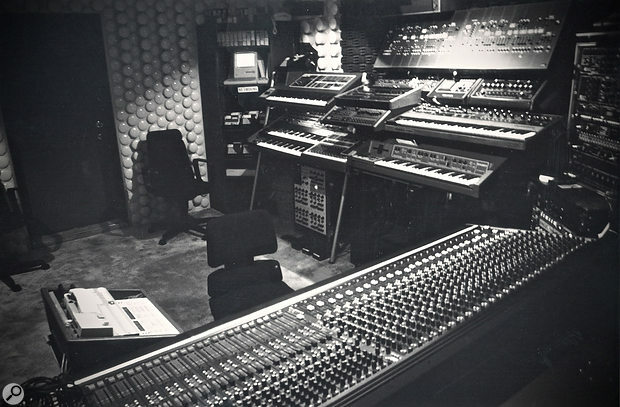 He was like, ‘I don’t need to know that stuff, that’s your job.’ I was the gearhead and I had the gear, so he came to my studio at my house, and my job was to keep the synths in tune and up and running and make sure the red light was on. John just sat in front of the black and white keyboard keys and pushed them. Fortunately, Alan Howarth does have clear recollections of the gear the two of them were using. 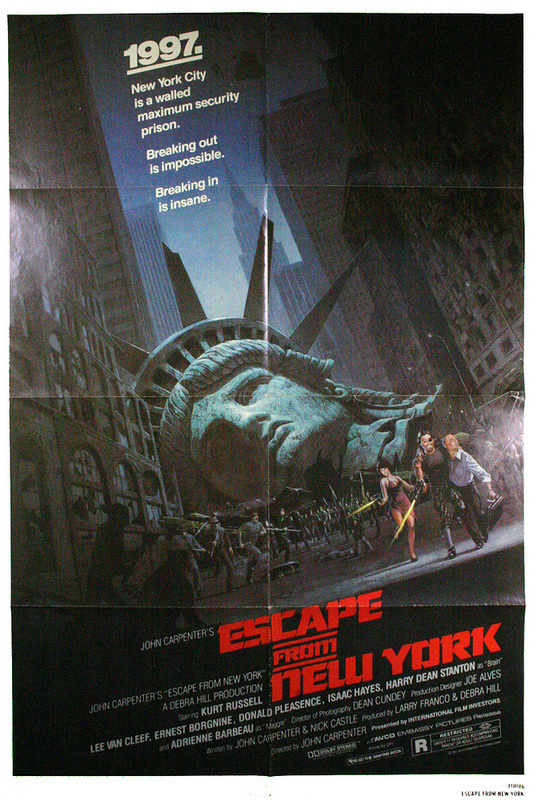 “What I call ‘phase 1’ was from the moment John and I started working together on Escape From New York in 1981 up until Christine . 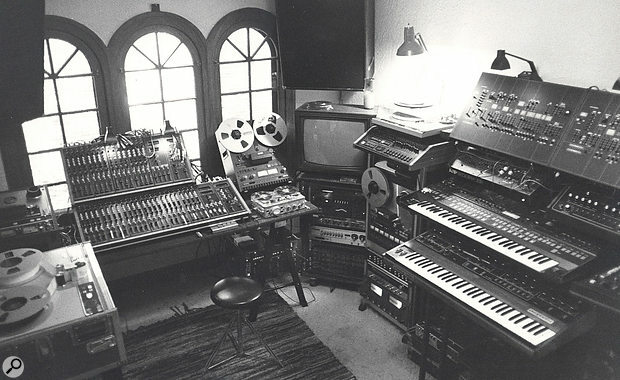 My studio was called Pi West, and the initial bank of keyboards there when John and I started out working together were the Sequential Circuits Prophet 5 Rev3, a Prophet 10, an early ARP Quadra and two ARP Avatars — one Avatar was integrated with a Sequential Circuits Model 700 programmer — an ARP Sequencer, an Oberheim Four Voice, and an Emulator 1 sampler. I also had the Linn LM1 drum machine, which drove our main arpeggiator, the ARP Sequencer, using clock pulses. I later got an Emulator 2, which became one of our main pieces and had a very musical arpeggiator on its own. I was very much into programming our own sounds, and Dave Smith of Sequential Circuits really liked the original sounds I had made for Joe Zawinul and asked whether he could use them in the first Prophet 5 presets. So many of the Prophet 5 presets were my sound designs, especially for brass, strings and stuff like that. 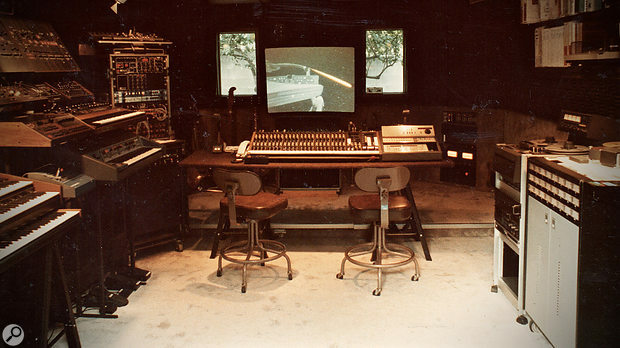 “I initially had a Tascam 80-8 half-inch eight-track tape recorder at Pi West, but we quickly decided that we needed more tracks, so I got a Stephens 24-track, the reason being that it’s somewhat portable, and there were some serious steps leading up to where I lived, so getting an Ampex up there was somewhat prohibitive! Two-inch 24-track tape was our recording medium. I expanded the tracks a little bit with the half-inch eight-track, using SMPTE and also the Audio Kinetics Q-Lock sync system, so I could lock both tape recorders to video. John loved that, because it was the first time he’d been able to play while watching the movie! Prior to that he’d been playing to a click and a stop watch, and the music was synchronised to the images later on 35mm mag stock at the movie studio. 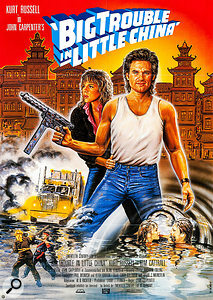 “Phase 2 began with Big Trouble In Little China. I had a new house and built a studio in the garage out back, which I called Electric Melody Studios, and where I had an Ampex MM1100 24-track instead of the Stephens. I added a Kurzweil 250 synth and a Prophet VS, both of which became main pieces, and also got the Linn Drum LM2 and an E-mu SP12 Drumulator. I started getting into computer-based sequencers as well. The first one I got was MOTU Performer on the Mac Plus. But the crown jewel which we got in 1986 was a Synclavier system. It was so expensive that I bought it on payments, it was like buying a house! I decided to go for the Synclavier rather than the Fairlight because it had added a Macintosh as its interface. After Carpenter stopped working with Howarth he did, for a while, own some keyboards, in particular, he recalls, “the Korg Trinity, which I used to score a couple of films with, and then the Korg Triton. That was it for a while, until I hit Logic Pro.” The mention of Logic Pro connects Carpenter to the subject of the making of Lost Themes I and II, and by now it should come as no surprise that his switch to a DAW also wasn’t by design. Once he felt comfortable enough to work with Logic, John Carpenter, with help from his son Cody and Daniel Davies, would record music himself in his home studio, where he has a typically 21st Century studio setup, with his Logic Pro DAW complemented by Adam A5X monitors, an Apogee Quartet interface, a couple of microphones, and a few MIDI keyboards. Cody spent much of this time in Japan, from where he would communicate with his father and Davies via email. Eventually their collaboration resulted in Lost Themes I, which was successful enough to galvanise the trio to work together over a shorter and more focused period in 2015 to create a second album. Like all of his music, the Lost Themes albums exemplify John Carpenter’s distaste for what he calls the ‘Micky Mouse’ approach to movie scoring, where the music tries to manipulate the viewer’s emotions almost second-by-second. 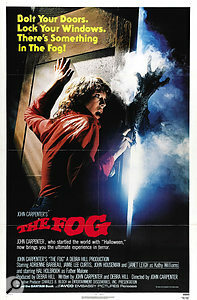 Rather than try to micro-manage the viewer’s feelings in this way, Carpenter has always allowed the music to follow its own inner logic, and used it to invoke a strong general atmosphere over longer periods of time. At the time the interviews for this article took place, John and Cody Carpenter and Daniel Davies were deep in rehearsal for their coming tour, which will be a novel experience for all of them. As mentioned in the main article, the three additional musicians are the backing band to Jack Black’s Tenacious D: John Spiker on bass, John Konesky on guitar and Scott Seiver on drums. The Carpenters will be playing keyboards, and Davies guitar and occasionally keyboards. The Kinks’ Dave Davies and his family, including the young Daniel, moved from the UK to LA in 1992. They settled in the same street as the Carpenters, and the teenage Daniel even spent a couple of years living with them. Davies junior started out playing guitar, occasionally asking his famous father for some advice, but mostly being self-taught. After several years playing in bands he now works at his home studio in LA writing songs and soundtracks, using a setup consisting of Logic, an Apogee Duet, Adam A7X monitors, and a small collection of BAE preamps, a dbx compressor and some mics like a Shure SM7 and an AKG C414. Cody Carpenter’s father introduced his son to music and to movies at a very young age (yes, even to the horror movies), and he then went on to play piano and later guitar and drums, and to study music composition at the University of California in Santa Barbara and at the Occidental liberal arts college in LA. 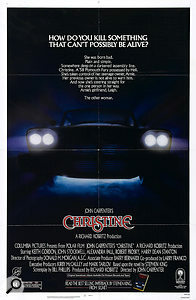 Cody contributed to the score for his father’s movies Vampires (1998) and Ghosts Of Mars (2001), and also wrote and performed the soundtracks for two episodes in the Showtime Masters Of Horror TV series, ‘Cigarette Burns’ and ‘Pro-Life’, both of which were directed by his father.